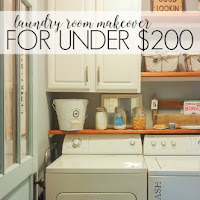 Are you an avid DIYer? 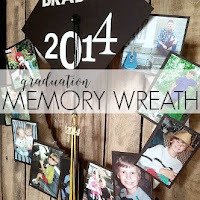 Chances are that if you're visiting my site, you enjoy do-it-yourself projects. If you have these top 5 tools in your arsenal (and your toolbox), you will be able to create projects faster, easier and with more satisfactory results! 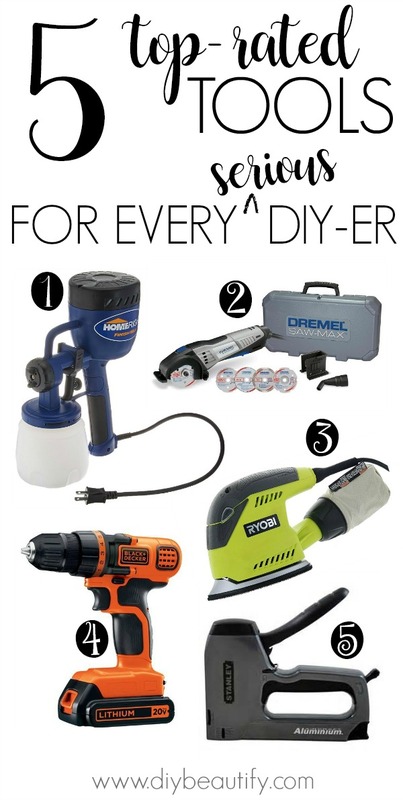 Let's take a closer look at my favorite DIY tools. I'm a visual person, and while it's not that exciting to look at tools (at least not for me! ), it IS exciting to see a project that was completed using said tools...so that's what you're going to get below; the reason I love each tool and a project that I completed using each of the tools below. I have been painting furniture by hand for about 12 years. I've painted hutches, cabinets, tables, chairs, beds and everything in between...usually 2-3 coats followed by a topcoat. All by hand! 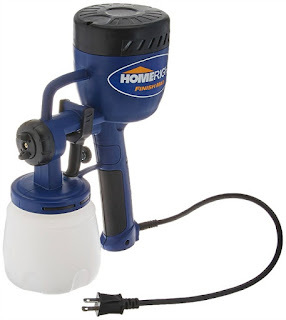 I recently became the owner of a HomeRight Finish Max paint sprayer, and it has changed the way I paint! It used to take me an entire day to paint a couple of chairs...those spindles and legs are an absolute nightmare! But the HomeRight Finish Max makes the job easier...faster...with the same, if not better, results! 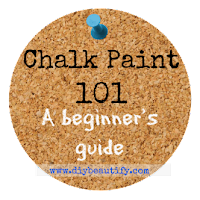 You can use chalky paint in the Finish Max, as well as nearly every other paint that is on the market! 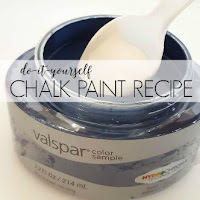 It's easy to adjust the spray for every project, and clean up is fast and easy with soap and water! The very first piece I tackled with the paint sprayer was this large dresser. I'll be sharing a tutorial in the new year, but the finished piece turned out so well, and I love the cottage feel! It's also helpful to use a spray shelter for your spray painting projects as it protects the surrounding areas from overspray! This is the one I have. It's large enough for big pieces. 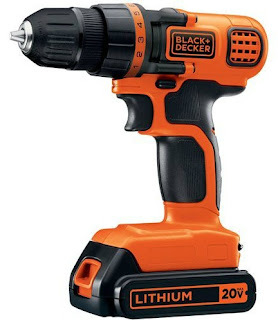 I don't own this product yet, but it's on my wish list and I've left numerous blatant hints to Mr DIY... so I'm pretty sure it will be waiting for me on Christmas morning! It will make Mr DIY's job easier if I can cut my own materials for projects, rather than waiting for him to do it! My friend owns this saw, and recently cut some pieces of wood for me. It is a light, portable tool that a small-ish woman can easily handle! Don't get me wrong...I've used a big-daddy chop saw, but this tool is easy to grab and use. 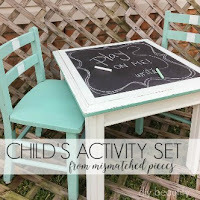 No major set up required! If it's convenient, I'm more apt to use it and this tool ranks up there as very user-friendly. Replacement blades can be purchased. 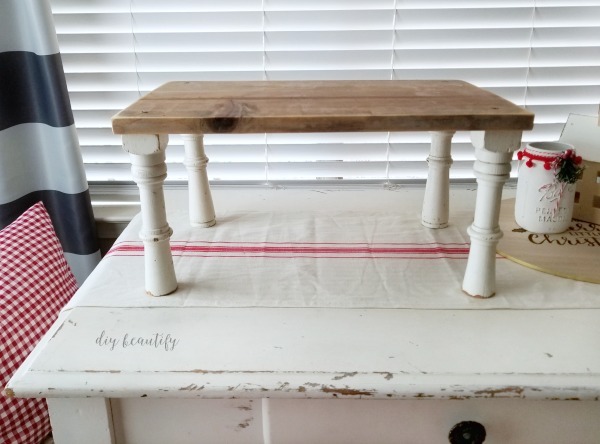 This is the kind of project you can complete with the Dremel Saw Max...easily saw a long board into smaller pieces, chop some table legs in half and create this small farmhouse bench. This small electric sander is my go-to tool when I need to prep wood prior to painting, and when I want to achieve a more heavily distressed look post-painting. I've also used this sander to remove the finish from table tops prior to staining. It's much less work to sand with an electrical sander than to use sandpaper alone! I love how small this sander is and the pointed tip makes it easy to get into tight spaces. It makes sanding easy people...easy! The sanding pads attach to the sander with velcro, and it's easy to switch between coarse and fine sandpaper by just pulling off the paper. The tool has an attached bag to collect the sanding dust, and it twists off to empty. I've used my palm sander on nearly every painted project I've done. 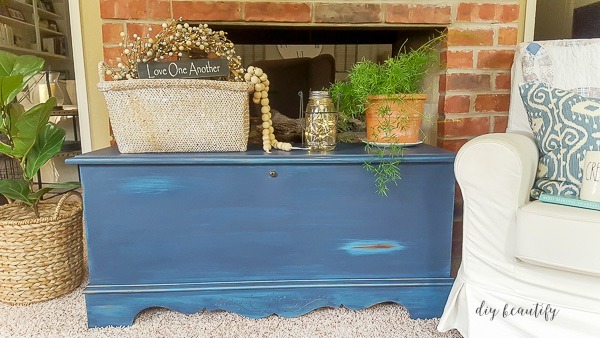 Like this painted blanket chest. It was a piece of cake to distress the edges with just a couple passes of the sander! If I'd done it by hand, I might still be sanding! 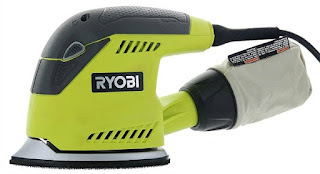 My Ryobi Finish Sander is probably the most-used tool in my toolbox! If you're going to buy a drill, spend a few extra bucks and buy a cordless one! Mr DIY even has 2 chargers so when one is attached to his drill, the other is charging...this ensures it is always ready and waiting to be used. I use the drill on my own to hang pictures (when I need to use an anchor), to drill pilot holes in furniture (like the farmhouse bench above). Hanging pictures, curtain hardware, installing drawer pulls are just some of the ways you can use this tool. Mr DIY and I used our drill to make holes in our huge bookcase so we could install these gorgeous pipe drawer pulls from Hickory Hardware! 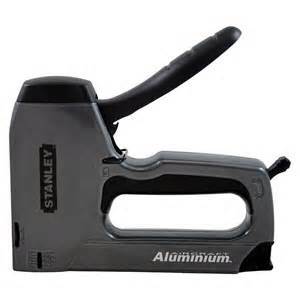 This heavy duty stapler also shoots brads (which are like small nails). So if you want to quickly put together a bunch of picture frames or a small piece of furniture, this tool will be your best friend! I love to use my stapler for replacing cushion covers on dining room chairs, and I recently used to it to staple the bottom fabric of the buffalo check ottoman I recovered for our sunroom. I'll be sharing that project soon, but you can see the ottoman below...doesn't look like a DIY project, does it? 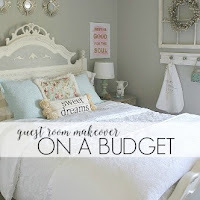 It looks like it came straight from Pottery Barn! 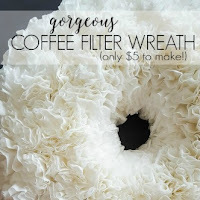 While the above 5 tools are essential for the do-it-yourself-er, here are a few more products that I love and recommend because they are so fabulous and make producing quality products that much easier! A Die-Cut Machine is a staple for anyone serious about DIY. There are many different machines on the market, but I love my Silhouette. I use it nearly every day! I just purchased the Cameo 3 bundle which is a great deal. 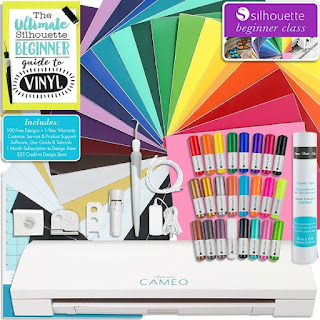 In addition to the machine, it comes with vinyl, sketch pens, tips on how to get started, 100 free designs, credit toward the Silhouette Design Store, and even a free 30-day membership to Silhouette U. These videos walk you through everything, from taking the machine out of the box and getting the first cut done...to more complicated tutorials. If you want to easily make great-looking signs, add monograms to mugs, make your own t-shirts...there are endless possibilities when you own a die-cut machine. It's worth the money! 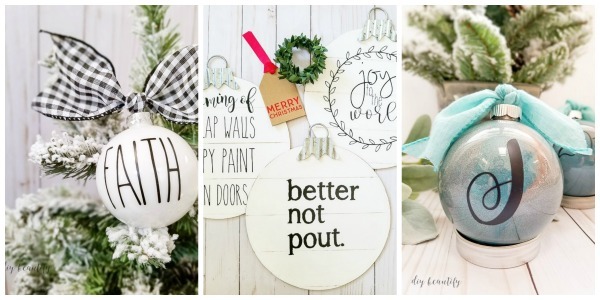 Nearly all my Christmas ornaments this year were created using my Silhouette machine! Here are a couple. I really need to include a Sewing Machine in this line-up. If you have any desire to make your own cushion covers or curtains or buttonholes...a sewing machine is indispensable! I don't make anything complicated. I can sew a straight line and keep to the basics. 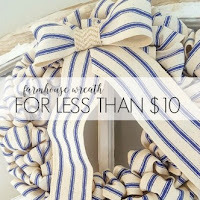 But if you can learn that, it opens up a whole world of home decor possibilities! I have my mom's vintage Pfaff machine, which still runs smoothly! I'm pretty sure my dad paid a LOT of money for it back in the day! I was pleasantly surprised when I looked on Amazon and found top-rated sewing machines for around $100! 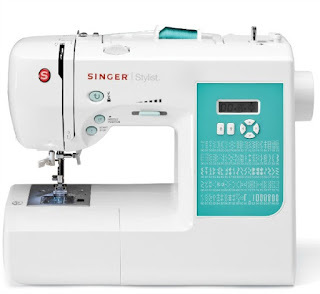 This little Singer sewing machine comes with an instructional DVD, push-button stitch selection and more and it's right around $150! 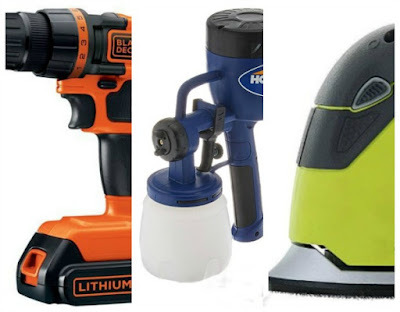 Do you own any of these tools? Is there another tool you find indispensible for your projects that I haven't mentioned? Leave a comment below! In the meantime, please PIN THIS IMAGE for future reference! Ivory, these are the easiest tools to use, and they really are dynamite to own! Happy New Year! Just like you I always have too many projects going at once... but we do it because we love it. I like your selection of tools... they all come in very handy.. Thanks for the nice article..